We currently do not any any puppies available or litters planned. Please feel free to contact us for a referral to a breeder that has a litter planned or to inquire as to our future breeding plans. 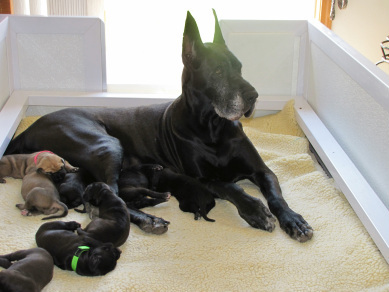 Before you decided to bring a Great Dane into your family please think very honestly about the amount of time, commitment and resources you have to dedicate to a Great Dane FAMILY MEMBER! 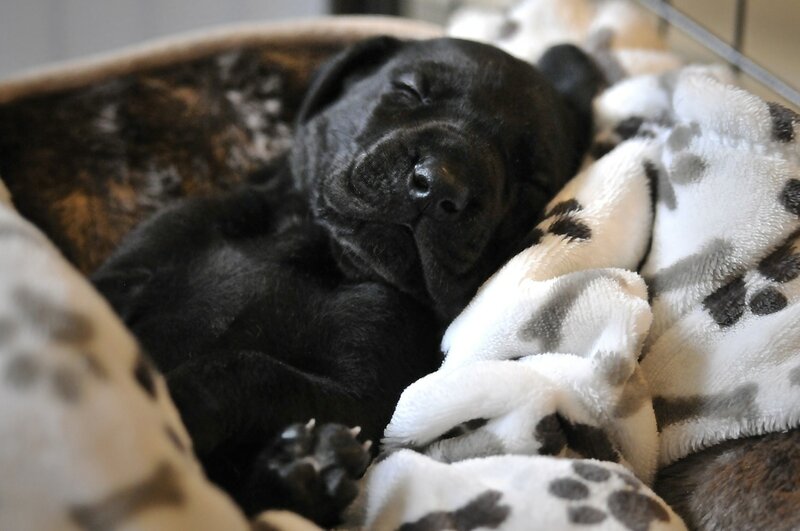 Puppies like children require A LOT of time to care for, exercise, train and love properly. Owning a Great Dane is expensive! Everything costs more for a giant dog: food, crates, bedding, medicine, veterinary care, toys, and when they chew on something with a large sharp teeth it will most likely be destroyed in seconds. Puppies can have health issues just like children; bladder infections, acne, ear infections, colds, flu..... you get the idea. As your Dane ages just like an elderly person they get arthritis, can loose control of their bodily functions, come down with pneumonia and can come down with a variety of quaintly of life issues. 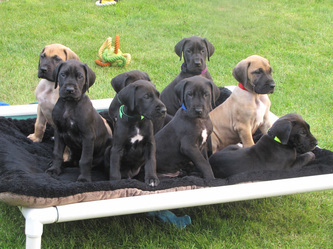 Please make sure that you currently and in the future (the next 10-12+ years) can dedicate a large portion of your life to taking care of your Great Dane family member. * We do not ship our puppies in the cargo area of a plan. Our preference will always be to place puppies with a family willing to drive a vehicle to pick up their puppy. *Securely fenced yard large enough for a Dane to run and play. *Companion puppies (Danes not being shown) must be spayed or neutered. *Dane must be maintained as a household pet. *Attendance in a puppy kindergarten, basic manners classes and proper use of a crate. *A home check prior to purchase. 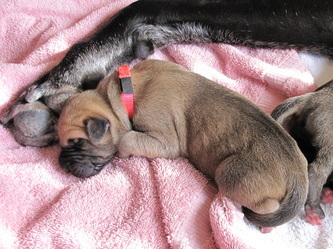 *If a purchaser cannot keep a dog of our breeding, for any reason whatsoever, the dog is to be returned to us. 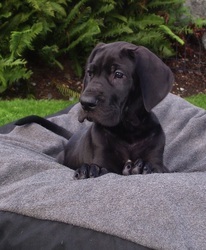 *Puppy adopters must keep in contact with us for the life of your Dane. 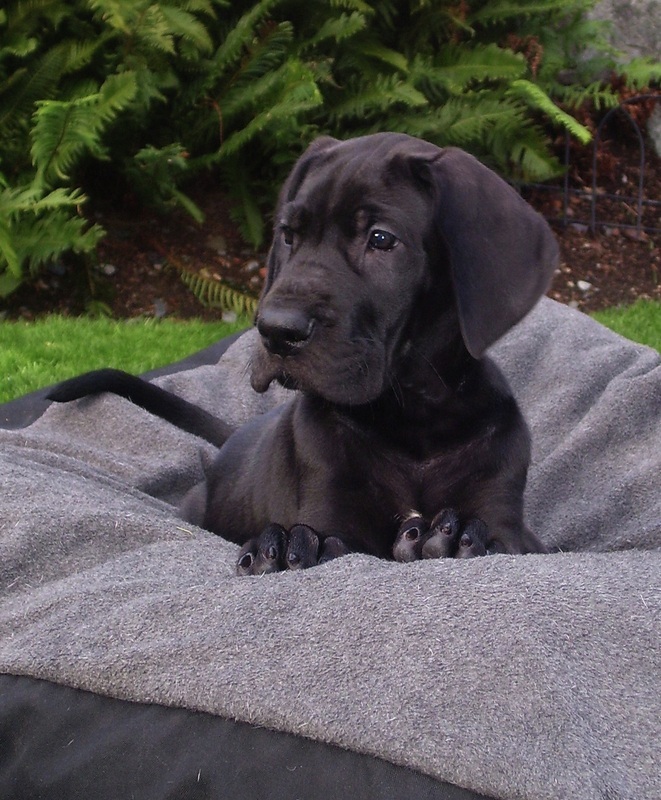 *Provide proper veterinary care and diet for your Dane. *With small children and no large-dog experience. *That require absence for longer than 4-5 hours at one time. *That do not have a large yard that can provide a lot of exercise. *For families with busy schedules. *For families with young children. Owning a show dog is VERY time intensive. Show dogs require very specific training, socialization and exercise with an experienced trainer.